A Silver or Gold Series Adjustable Bed from W. Silver Products will adjust slowly and quietly into your the desired position. With one touch of your finger you can navigate your way to complete relaxation and rest like never before, elevate the head or your feet and legs to your unique position reaching maximum comfort sleeping throughout the night. 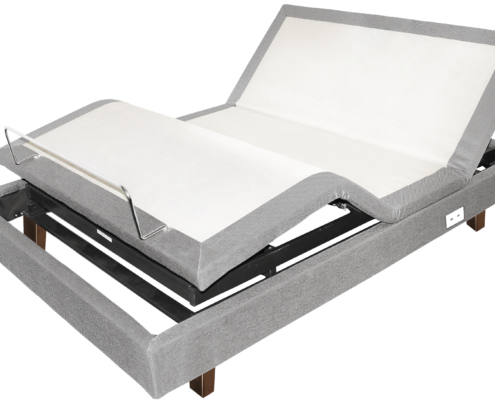 Our adjustable beds will enhance your lifestyle and quickly become your favorite locations to relax and watch TV, listen to music, read a book, or surf the internet on your tablet. 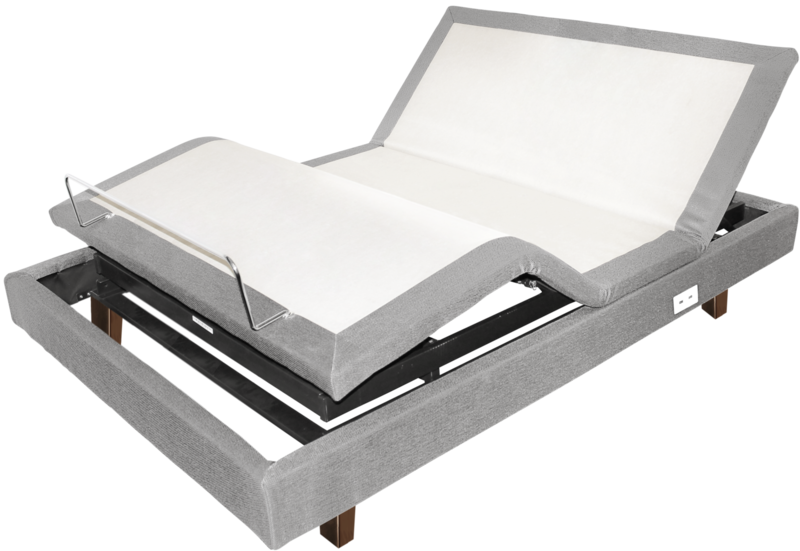 A primary benefit of an adjustable bed is to allow your body to sleep in an ergonomically correct position aligning with the natural curvature of the spine. A healthy posture during sleep helps to eliminate problems and promote proper Sleep ergonomics. Our sleep posture is important to a healthy lifestyle. An adjustable bed gives you the ultimate control of your body during sleep. The S-shape curvature of our spines and the curves of our legs are not fully supported by a flat mattress, and our muscles remain tense as they work to support the body. Creating a curved sleep position matched to our bodies relieves this stress and allows us to fully relax and rejuvenate during sleep. Sleep is a vital component to a healthy lifestyle, you should wake up feeling rejuvenated and ready for your day. Sleep affects how you look, feel, and perform throughout the day. 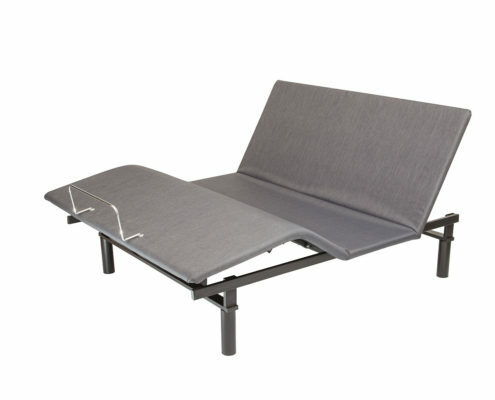 Wake refreshed with one of WSP’s Adjustable Beds. Using our Adjustable beds promotes healthy sleep by elevating your head you are able to better reduce stress on your heart, snoring, and sleep apnea. Elevating the head during sleep also helps with the reduction of acid reflux and heartburn for better digestion. Also alleviate neck and shoulder tension, headaches, and congestion. And improve oxygen intake to your bloodstream. All of these benefits come as a result from choosing to sleep and relax on a Comfort-n-Motion adjustable bed. 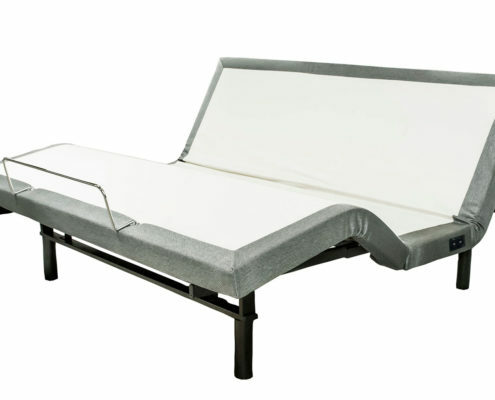 Our Adjustable Beds are full featured! 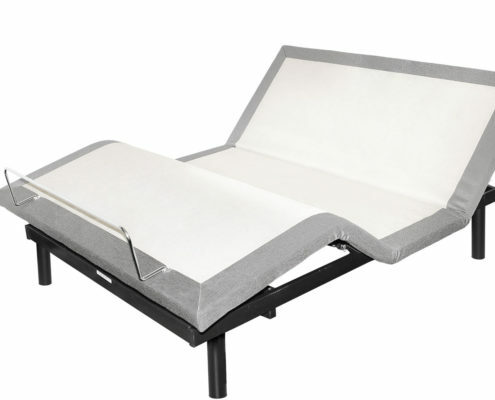 WSP Adjustable Beds can be equipped with the patented Wall Defender Technology TM, which allows the bed to be closer to the wall without wall damage when raising and lowering the bed. Elevate Your Head for relaxing and watching TV or reading your favorite book, lounge in comfort on our adjustable beds. Head and Foot Massage motors relax your tired back for a restful night of sleep. Add Pulse or Wave functionality for added benefit and soothing restoration. Elevate your knees and decline your feet for a zero gravity position of rest. USB charging ports are available on some models of WSP beds making recharging your devices possible as you recharge your body in our relaxing adjustable beds. Recessed Legs available in Steel and Premium Wood on some models. Ultimate Deck-on-Deck upholstered surround on Gold Series models. Our Comfort-n-Motion Adjustable Bed Products offer a full range of available options for every budget and sleep preference. See the below Product Table for features, details, and variations by model for a full comparison. Single Piece King 600 lbs. TwinXL-450lbs. Single Piece King 600 lbs. Twin/XL-450lbs.